Downtown Dubai is one of the world’s best destinations for shopping, entertainment, dining and now also for… Pokemon hunting! As we are sure you know, Pokemon Go has taken the world by storm over the last few months with more than 20 million players worldwide. Although up to this date it still hasn’t been officially launched in the UAE, there are thousands of Pokemon hunters and plenty of Pokestops, Gyms and Pokemons to catch, especially around Downtown Dubai. 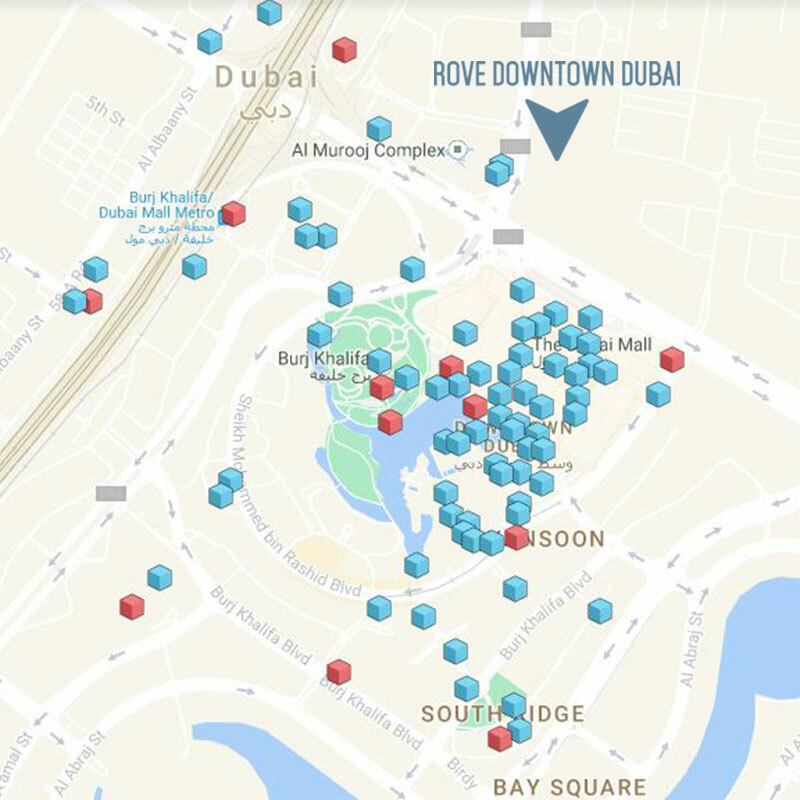 If you are staying at Rove Downtown Dubai, the below map will help you find the location of Pokestops (Blue Spots) and Gyms (Red Spots) around the area. Take your mobile, bookmark this map and get ready to explore Downtown Dubai and catch some rare Pokemons along the way. Be alert at all times. Stay aware of your surroundings. Watch where you are going. Don’t drive and play. Dubai is quite sunny all year round, make sure to apply some sunscreen if you are playing outdoors. It is advisable to take a power bank with you, for extra hours of fun! Be safe and explore carefully! If you are one of the late bloomers and doesn’t know how to download the game, check out this article. It’s never too late!